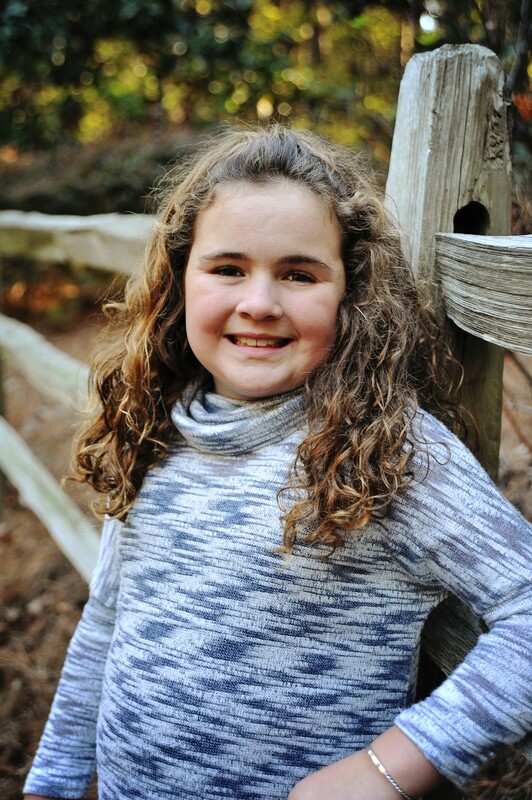 This year’s honoree is Julia Vaughn and she has JIA (juvenile idiopathic arthritis). Julia was diagnosed in the summer of 2009, when she was two. She was at her aunt’s horse farm when her mom and aunt noticed she was limping. Within a short time after the limp her mom realized the back of her left ankle was larger than her right one. Her mom called the pediatrician and within a few days and several blood tests later, he sent them to a pediatric rheumatologist at UAB Children’s. The rheumatologist confirmed the pediatrician’s diagnosis, that she had juvenile idiopathic arthritis (JIA)an autoimmune disease. Julia has oligoarthritis, which is when four or fewer joints are involved within the first six months of diagnosis. Thanks to the pediatrician and rheumatologist, she was diagnosed early which has saved her from serious, long term joint damage. Julia also has enthesitis, which is characterized by inflammation of the tendons that attach to the bones, as well as Uveitis, which are inflammatory cells inside the eye. These inflammatory cells, although connected to JIA, are different in their makeup and could cause me to lose my eye sight, if gone undetected. She has had many challenges with arthritis but is thankful it was detected early and her doctors were aggressive with treatment. She still has some hard and painful days, but she gets out of bed and conquers the day. In the past, Julia has participated in cheerleading, baseball, dance and horseback riding. Julia loves swimming and this year she will be playing volleyball and will start learning how to play the clarinet. She wants everyone to know that, even when you are hurting to always believe in yourself and never stop doing what you love! To support Julia or join her team please click here!